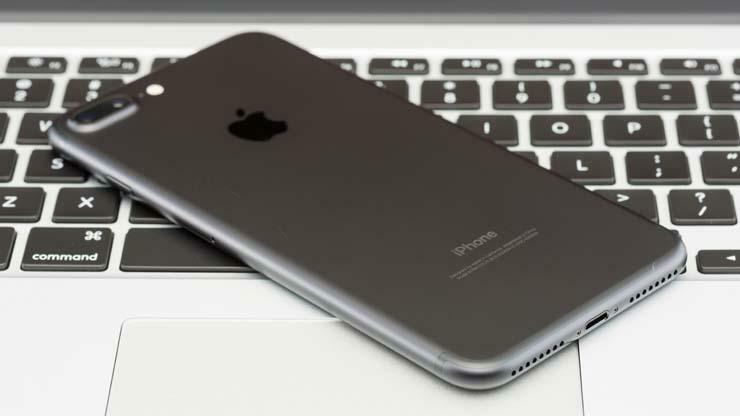 Now that you finally have your own share of #Apple’s latest classy handset, the iPhone 7 Plus (#iPhone7Plus), you might think about how to make the most out of it. This post will help you do so by starting with one of the first few important things every smartphone user does by the time they get a hold of a new device. And one of these is on how to transfer important contents from other (old) devices to this new iPhone. That way you can access these files on your iPhone whenever you need them. If you just made a switch from Android to this new iOS smartphone, the following steps will help you transfer important files or data from your Android device and make use of them on to your new iPhone. These things are usually done during the activation process with your new device. Read on and get started. The following steps depict an automatic file transfer from an Android device to the iPhone 7 Plus via Move to iOS app during the activation process. Turn on your iPhone by pressing and holding the Sleep/Wake button or Power key located on the upper-right side of the device. Now, press the Home button. Tap to select your preferred language. Tap to select your country or region. Tap to select your preferred Wi-Fi network to connect to. Note: If you don’t see any Wi-Fi network available, then tap the option to Use Cellular Connection instead. If prompted to enter the password for the selected wireless network, enter the correct password on the on the Password field then tap Join to continue. Tap an option for Location Services to enable the feature. On the Touch ID screen, place your finger or thumb on the home key to set up Touch ID. Otherwise, tap the option to Set Up Touch ID Later if you prefer to do it at some other time. Enter a six-digit passcode to create a passcode to keep your data and to unlock your iPhone with it. Enter the passcode again to confirm. On the Apps & Data screen, scroll to and tap to select the option to Move Data from Android. Now, go to your Android device, download and install the Move to iOS application and make sure the Move to iOS app is open on your Android device. Go to your iPhone and tap Continue on the Move from Android screen. You will then see a code on your iPhone screen. Enter that code in the Move to iOS app on your Android device. On your Android device, tap to select the contents you want to transfer then tap Next. Wait for Move to iOS app to complete the file transfer. Once the transfer is complete, go to your iPhone and then tap Continue Setting Up iPhone. Enter the email address that is associated with your Apple ID then enter the Password. Tap Next to continue. Follow the onscreen instructions to complete the setup process. In case the Move to iOS app is not working or unavailable, you can use iTunes to transfer contents such as photos, videos, mail, contacts, calendars, music, and other files to your new iPhone manually. Here’s how it’s done. Note: In order to make manual file transfer possible, you will need a Mac computer with Android File Transfer installed. Connect your Android device to your computer and wait for it to be recognized. Once the computer recognizes your Android device, start finding the files you want to move to your iPhone 7 Plus. Photo and video files are usually stored in DCIM-> Camera, unless you have specified your own directory or storage location or folder. Next, go to your Mac computer and open the Android File Transfer app. Select the photos and videos that you want to transfer and then drag them to a folder on your computer. Note: It is recommended to create a new folder dedicated for these files for you to locate them easily. Once you’re done arranging the files for transfer, disconnect your Android device from the computer. On your computer, open iTunes and sync your photos/videos to your iPhone. If you are not sure where to find these files in your iPhone, try to go to Photos-> Albums. Media files like these are usually stored in that location. Go to your Library and click Music. Open the folder where you want your files and then drag them to the Music view in iTunes. Select your iOS device (iPhone 7 Plus) and the click Music. You can also opt to sync your entire library or choose only the songs or artists you’ve recently added. Finally, click Sync. After that your music can now be accessible on your iPhone through the Music app. The fact that iOS works with almost all major email providers like Yahoo, Google, and Exchange makes it a lot easier for you to keep your emails, contacts, and calendars accessible with your new iPhone. Just be sure to first add each of your email accounts to your iPhone then go to Settings-> Mail. Tap the account and enable Mail, Contacts, and Calendars for each email account. Alternatively, these files can also be accessed through social accounts. This means you can transfer any contacts and calendars stored in your social media accounts. On your iPhone, go to the App Store. Install Facebook, Twitter, or any other social media app you prefer to use. Tap to open the social media app. Sign in to your social media account. Enable or turn on Calendars and Contacts. You may then start accessing mail, calendars and contacts with your new iPhone. Transfer of eBooks from an Android device can be done either by importing them to your iPhone or access them via apps like Nook, Kindle, Google Play Books, and the like. You can access books from an app by going to the App Store, get the app and then sign in with your username and password. After that you can use a computer with iTunes and start moving eBooks and PDFs from your Android device to your new iPhone. Files of these types are usually stored in Documents. Connect your Android device to your Mac computer. Open Android File Transfer on your computer then open the folder named Documents. Locate and select the books and PDFs you want to transfer and then drag them to a folder on your computer. Disconnect your Android device and connect your iPhone to the computer. Drag the files into your library. On your computer, go to iBooks-> List. Once you’re in the List folder, drag your books there. Note: If you are using a Windows PC, go to iTunes-> Books. Next, open iTunes on your computer and sync your eBooks and PDFs. After that you should be able to see these files on your iPhone in iBooks-> All Books. Visit our troubleshooting page to view more tutorial topics, how-to guides, and FAQs regarding the use of the new iPhone 7 Plus. Should you have any other queries, concerns, or issues with your new iPhone that need to be addressed, you may reach our iOS support team for further assistance by simply filling out this form. Just be sure to let us know of the important details and we will do our best to help you then.